Woolensails: Friday Finishes and Finds! love your pillows always so busy. 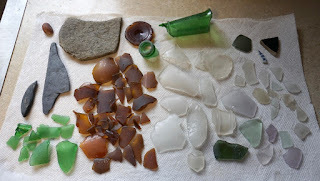 your luck with sea glass is amazing but stooped over for 4 hours would kill my back. 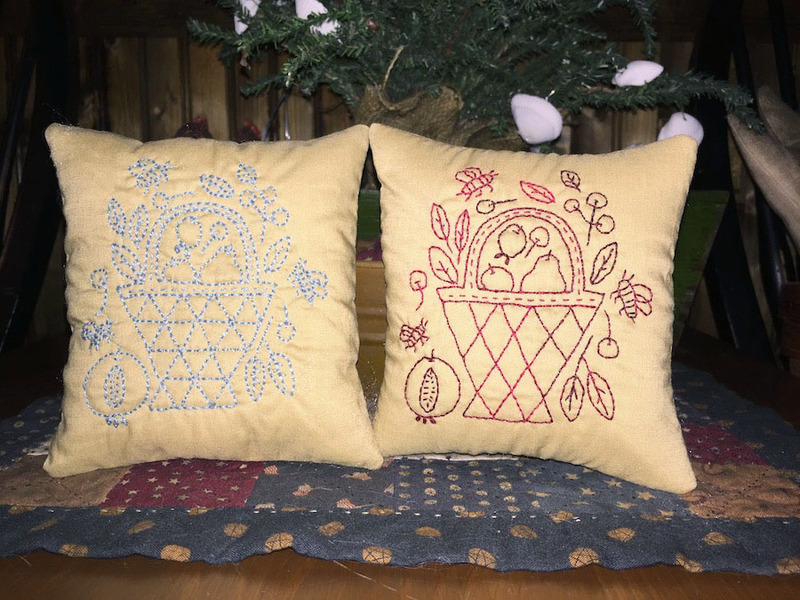 Oh I love those little stitcheries!! I think the blue looks so vintage...but I love the red too. I wish I lived in an area that had sea glass. I think its so beautiful. Hobby Lobby sells sea glass, but I just wonder if it's the real thing...probably not! Have a great weekend! Lovely stitching Debbie, you are always so quick! Some womderful finds, that revers S looks interesting. The soft amethyst and blues are my favourites. 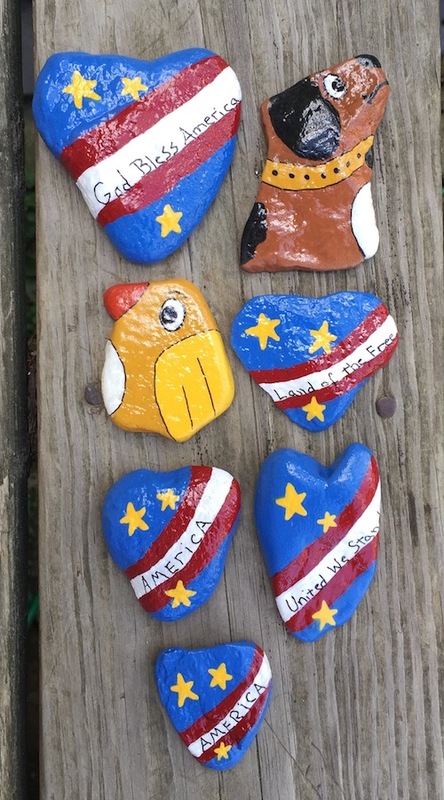 Great face rock find! Poor Bean. I bet it is hard to keep him down. I hope he heals quickly. Another great haul of beach glass! 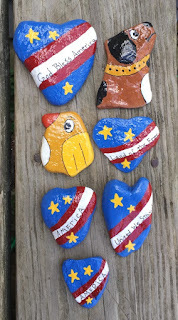 Love the painted rocks, especially the bird. They will make fun treasures to hide. 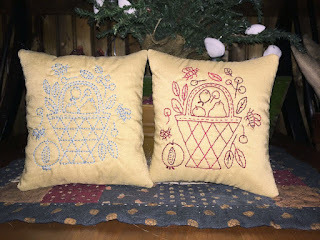 Your stitchery pieces are lovely, I love those pieces of glass and the stones and your painted rocks are pretty.